← Is it OK to take a blogging break? Totally agree,I have done all the above in one eLearning and much to my horror, not only do I have a next button on the slides that are heavy with text, but I have to have the voice tell them to select it, OUCH! If that is not bad enough, when I do the summary of the topics learned, they want the heavy text slides re-read. 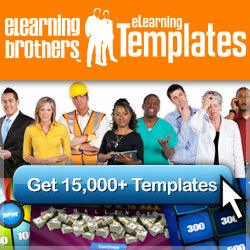 Unfortunately I am at the mercy of the content expert who funny enough has become an eLearning expert overnight. Help! How do you handle these people? That must hurt alright having them all! 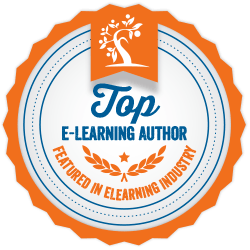 It keeps on surprising me how common it is when there are so many great examples of how to do engaging eLearning. I find it easier at the beginning of a project to set expectations with the content expert about what my and their role is and how we’ll work together. Then the content expert will understand that they are not storyboarding the content that it will be used as a base but what is produced will look different be visual and interactive. I explain and usually have a visual about what my role is and isn’t and that although we’ll have some base content I’ll need to come back to fill in some content gaps like scenario practices, and they’ll need to check content is technically correct. I talk about focusing on desired behaviours rather than information dumping. Also about engagement, the forgetting curve and how people learn. Sometimes showing good examples of eLearning can help set or reset expectations. If you have some from your organisation or previous work you could show those – otherwise there are great examples on Articulate Elearning Heroes. If you belong to eLearning Guild or ATD, they have a lot of information online you can use to back you up. I also rapid prototype – quickly build interactions and design concepts to show rather than tell or ask permission. I’ve never asked permission to do my coolest work, like using Twitter for social learning or learning resources from curated content (works for me, you’ll know if it works for you). Perhaps you could show (rather than tell) some more engaging ways to present the content. It might also be the case to pick your battles. Perhaps your organisation and content expert is risk aversive and resistant to different things from the written word. Then the next button might be the least offensive part and reworking the content being more targeted and digestable will have a bigger impact. You can work on the other things later down the track.